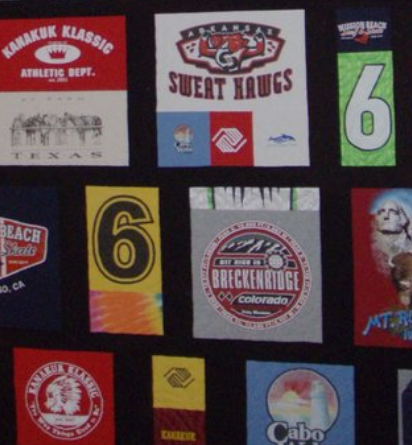 This class will help you make a memory quilt from all those t-shirts you have collected over the years. We will help you in the first class plan your quilt and then you can get it all put together! DO NOT BUY any supplies until after your planning class without talking to us. The Size of your quilt will be calculated with you in your first class. Rotary ruler 5 or 6" x 12 or 24"
The Sewing Circle has tools you can use during class. Quilting and binding techniques not included in this class.